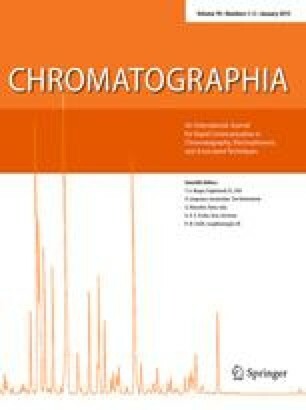 Molecularly imprinted polymers have been evaluated at the sample clean-up stage in the analysis of a drug lead compound. In order to circumvent quantification problems related to bleeding of the template, a structurally related analogue of the latter was used. This was selected based on criteria related to interaction site location, solubility, availability and stability of the analogue. Selection of suitable polymerisation conditions was then made using a small batch format (ca. 50 mg) and rapid assessment of binding in the equilibrium mode. It was found that the amount of template could be greatly reduced compared to the conventional protocol, requiring only 5 μmol of template per gram of polymer without seriously compromising the performance of the materials for chromatographic or SPE applications.